Need a Moving Company or Movers in Bal Harbour, Miami-Dade? Bal Harbour is a seaside village snuggled away on the North side of Baker's Haulover Inlet. With Miami to the South and Ft. Lauderdale to the North, Bal Harbour shines as brightly as a crown jewel in the world of ocean side living. A city of uncompromised beauty, luxury and services, Bal Harbour lures a culturally diverse population, and more than a few celebrities, to its outstanding strand - where the intra-coastal waterway meets the Atlantic's blue-green seas. Boasting majestic condos and exceptional private residences, Bal Harbour is the stylish choice for any beach, golf, fishing, boating, skiing, running, ocean and – actually – all outdoor sports enthusiasts and their families. Add the exclusive Bal Harbour Shoppes, plus exceptional educational opportunities – this is an idyllic place to call home. When Bal Harbour residents need a moving company and movers – they trust Superior Moving and Storage. Preferred over other moving companies - we provide exceptional service for Bal Harbour's packing, local, long distance, relocation and storage needs. Fully licensed and insured; locally owned and operated for over two decades - our reputation for integrity, reliability, quality and value distinguishes Superior as the trusted moving company leader in Bal Harbour. Whether you need secure, air conditioned storage - for one room or an entire castle - require complete business relocation services, local movers to go just one block or are planning a long distance move - Superior Moving and Storage will exceed your expectations. Distinguished over other moving companies we offer professional advice on do-it-yourself packing for local moves; money saving tips for long distance moves – plus full service, door-to-door, relocation packing services carefully handled by conscientious movers. Bal Harbour is repeatedly impressed with our expertise and professionalism. Complete moving company services, professional packing, thoughtful handling of your cherished possessions and highly skilled movers make us THE Superior choice. Every detail of your relocation is overseen by hand-picked, experienced moving company experts. Our courteous, knowledgeable office personnel send seasoned, dedicated and detail oriented estimators to answer your questions about local and long distance relocations. Expertly trained to recognize and provide you with time and money saving suggestions, Superior proudly extends the highest value for your moving and storage dollar. Our Bal Harbour neighbors can rest assured that every cherished furnishing will be packed for optimum moving safety - in sturdy, item specific boxes and/or in fully sanitized movers pads - by professionally qualified moving company experts. Our first-class movers and relocation staff are passionate about treating every item as a priceless heirloom. Superior regards our moving company name very seriously. This dedication shines in our modern fleet of, meticulously maintained, moving trucks. Bal Harbour citizens count on the safe, secure relocation of their valuable possessions for local and long distance moving and storage. With great pride in our reputation as a leader among moving companies, Superior employs a rigorous driver training program to ensure only the finest, most reliable, properly trained movers and drivers are trusted to transport your furnishings. A "driver confidence" leader among moving companies, we consistently carry your fine furnishings, safely and securely - over long distance relocations, local moves or to and from our state of the art storage facility. Superior also provides 100% air conditioned, 24 hour video surveillance, secure storage facilities. Leading other moving companies, we go the extra mile to guarantee your valuables are safeguarded in every way, including from Florida's extreme heat and humidity. Unlike other moving companies, customers are invited to tour our facilities. Bal Harbour residents are welcome to see the Superior Moving and Storage difference for themselves. There are many local and long distance moving companies to choose from when hiring relocation movers. Superior Moving and Storage encourages Bal Harbour residents to compare our moving company with other moving companies. Visit our spotless facilities. See our large selection of packing supplies; our modern, meticulously maintained equipment and meet our expert staff –ready to serve your local, long distance, relocation, moving and storage needs. Planning to drive your self but dread endless hours of packing? Let Superior Moving and Storage pack your furnishings and heirlooms, safely and securely. Use our Superior packing services and relax as our expertly trained movers set you free of organizing, packing and labeling your local or long distance move. Superior Moving and Storage offers Bal Harbour the same exceptional services over local roads or over long distances, across the country. 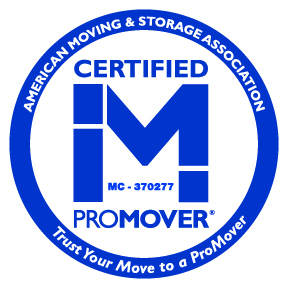 Our moving company's knowledgeable staff happily offers pro-movers tips to save you time, money and hassle. All Superior personnel are also fully qualified to recommend the best, most secure packing supplies –at the most competitive prices around. Leading other moving companies, Superior Moving and Storage is THE Bal Harbour moving company.